RESIDENTS of Melbourne House and Abbey House have been waiting a long time for dropped kerbs outside their blocks of flats. 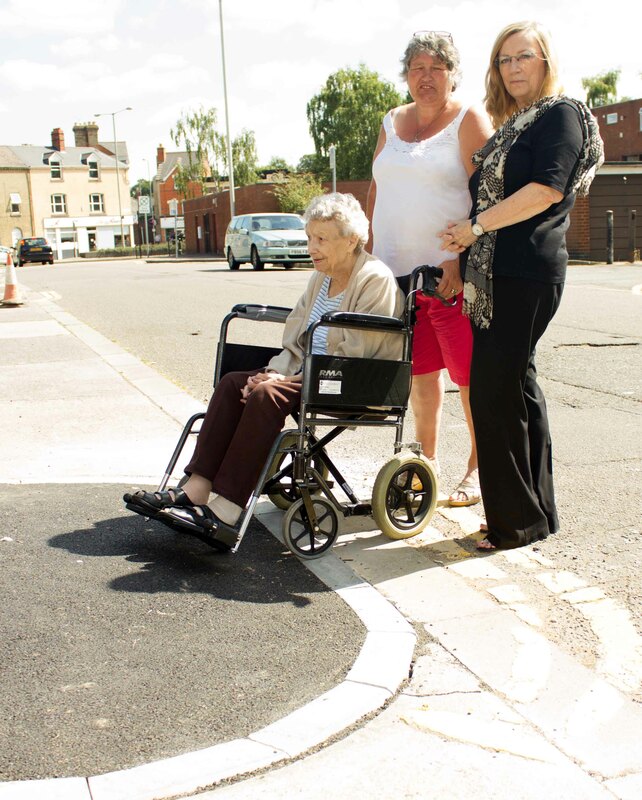 One local resident Lesley Brett has been campaigning for a dropped kerb for 3 years. Last year an older resident Winifred Shipley fell over trying to pull her shopping trolley up the kerb outside Melbourne House and was badly injured. Finally, week starting 21 July, the council workmen arrived and within a couple of days dropped kerbs had been installed outside both blocks. There are many residents in both blocks with mobility problems who will find life much easier now that these kerbs have been installed. The picture shows Jill Hope, Lesley Brett and Winifred Shipley outside Melbourne House celebrating the new kerb.